Cunill, listen to the silence. Prolonged exposure to noise can cause serious problems for health: constant fatigue, anxiety, irritation, aggression, permanent psychological damage, problems of the immune system, high blood pressure etc. 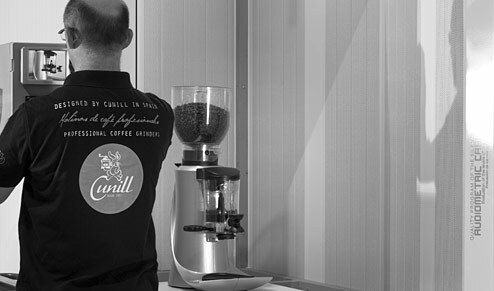 Year after year, Cunill invests in the study, evaluation, comparison and the technical and audiometric audit of all its models. 1999 (Nobel, 63dB), 2005 (Movie, 63dB), 2010 (Kenia and Jamaica, 63dB) and, in 2012, Luxo Heritage Aluminium (55dB). 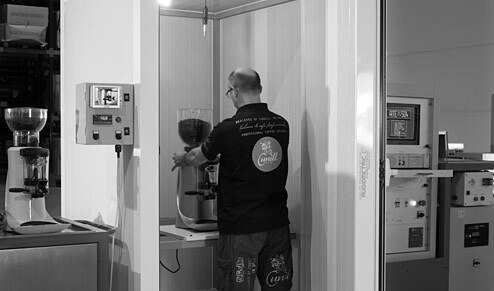 The constant search for innovation, the technological challenges and concern for the welfare of customers, have resulted in the soundproofing of the LUXO HERITAGE ALUMINIUM (55dB), the latest creation of the firm. 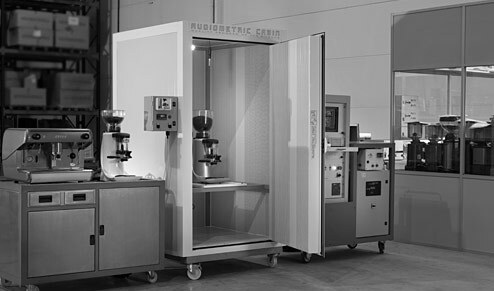 Readings taken at our audiometric measuring facilities which certifies the most advanced anti-vibration and soundproofing system in the world, achieving 15dB lower than the average sound of professional coffee grinders on the market today. 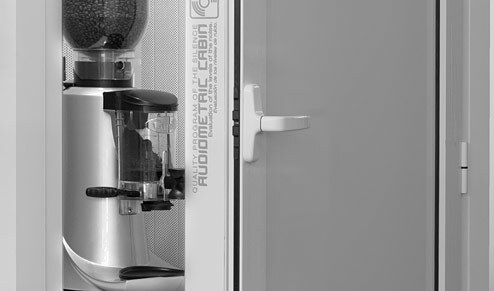 New pneumatic sound and vibration absorbing system that covers the upper capsule of the motor body meaning that all the motorised parts are independent of the bodywork thereby eliminating noise and vibration from the coffee grinder. The anchoring system of the motorised parts to aluminium chassis through an oversized pneumatic ring, continuous Silentblock, allows the vibrations produced by the motor body to be absorbed using a design of absorbent fins all around the ring. 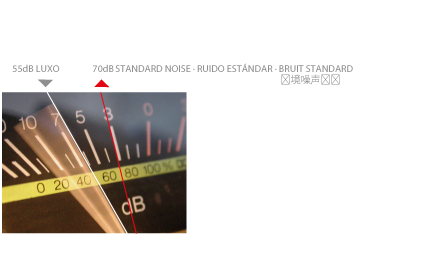 The result is the minimum sound expression: only 55dB.